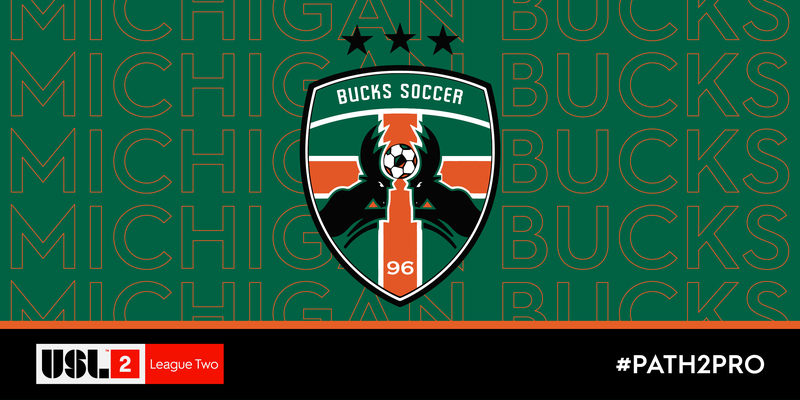 TAMPA, Fla. – Ahead of USL League Two’s 25th season, the league has announced the Michigan Bucks will be relocating to Flint, Michigan, in 2019. "USL League Two has a responsibility to grow the game of soccer, and we couldn’t be more encouraged by what is happening in Flint with our historic Bucks making it their home," said USL League Two Vice President Joel Nash. "Through Costa and Dan, you have two individuals who have made immense impacts through their sports, but now Flint is getting their unified effort. The Bucks will be moving from their previous home in Pontiac, Michigan, to historic Atwood Stadium – on the campus of Kettering University – which features a 10,000-seat venue for the club's supporters to view matches. The world-class playing facility offers a top viewing experience for Bucks fans, as well as a leading environment for players. "I am very excited about this move and our partnership with Costa Papista," said Bucks Owner Dan Duggan. "We simply could not pass up this opportunity to move to Atwood Stadium. Flint is a great sports town with a large soccer community. "This location allows our soccer club to grow its fan base, while continuing its relationship with our fans in Oakland County. It also gives us the opportunity to expand our business and marketing footprint to encompass Oakland County, Flint and Genesee County and all of mid-Michigan." Duggan has served as the club’s owner since the inception of the Bucks in 1995. They began their start of play the following year and have since established themselves as a perennial power in the league, boasting three North American championships in 2006, 2014 and 2016. Additionally, the Bucks have reached five League Two title matches and captured five regular-season championships. Costa Papista will join the Bucks as its operating partner and team president. Papista brings a history of sports franchise launches in mid-Michigan, having presided over two successful Ontario Hockey League startups, the Saginaw Spirit and Flint Firebirds. "We want to create a great experience for our players, fans and sponsors of USL League Two soccer," said Papista. "We were drawn to Kettering University’s Atwood Stadium because of the impressive renovations made by Kettering and its commitment to community engagement. We are excited to bring the most elite level of men’s pre-professional soccer to Flint." To welcome the team to Flint and Genesee County, and to give fans a chance to immediately become part of the Bucks' storied history, the team will soon hold a contest to rename the franchise. To stay up-to-date with the Michigan Bucks, follow the club on Twitter, Facebook and Instagram or visit www.buckssoccer.com.